If you can, remember back to what the practice of Baptism was like 50 years ago in Lutheran congregations. If you cannot, ask someone who was there. It was a very different time. 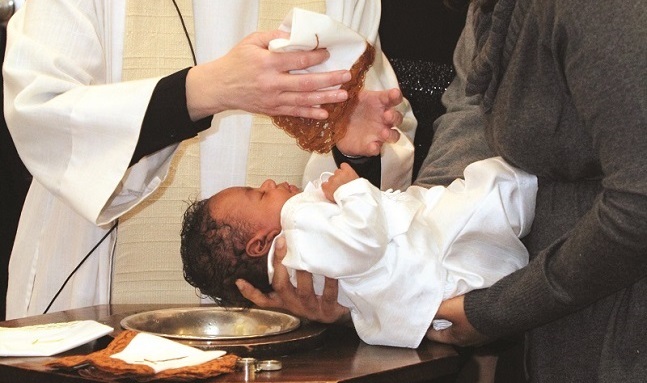 Baptisms were normally private matters 50 years ago in Lutheran congregations. They were conducted after a Sunday service concluded as a private ceremony for the immediate family and friends of the infant being baptized. Baptisms sometimes even took place in homes instead of the church. Some congregations didn’t even have a baptismal font. Teaching about the significance of Baptism was also significantly different from today. Fifty years ago, Baptism was commonly understood as an entrance into the Christian life but few saw it as a continuing marker of Christian living. Even though the Small Catechism was honored and used as the primary textbook for confirmation instruction, the Small Catechism’s admonition to understand Christian life and discipleship as the daily living out of one’s baptism into Christ received no attention. Many historians believe that Baptism lost its place as the defining marker of the Christian life in the Lutheran community because of the overwhelming influence of the non-sacramental practices and piety of the general Protestant community in the United States. Beginning with the Lutheran Book of Worship in 1978 and continuing with the release of Evangelical Lutheran Worship in 2006, ELCA congregations have been reclaiming the historic Lutheran practices and piety related to the Sacrament of Baptism. Baptisms today (except in emergencies or other extraordinary circumstances) occur in the context of congregational worship. We have restored Martin Luther’s scriptural teaching that the hallmark of the Christian life is the practice of daily living out our baptismal covenant. Luther taught that each morning we are to rise and say, “I am baptized into Christ” and then go about our daily affairs living in the covenant God made with us in our Baptism. “Walking wet” is now a widely recognized metaphor for being a disciple. And we now frequently celebrate our congregations’ various occasions in the Christian journey through life by using the liturgy for Affirmation of Baptism (Evangelical Lutheran Worship, p. 234). This short statement describes the five central faith practices that grow out of our Baptism in Christ. These practices outline the expectations of the life of a Christian who takes his or her Christianity seriously. They are the marks of a disciple. We are a church that is energized by lively engagement in our faith and life. We are committed to nurturing discipleship through the Faith Practices initiative, which is managed by a team at the ELCA churchwide organization. To help the members of this church live the faith practices named in the Affirmation of Baptism, the Faith Practices Team has developed a brief guide, “Faith Practices in the Evangelical Lutheran Church in America: Living Our Baptismal Covenant.” This guide is available as a downloadable resource at ELCA.org. The Faith Practices Team has created a supporting resource, “Story Matters,” to help congregations hear the word of God. “Story Matters” invites a congregation to identify a biblical story that fits with its congregational story. The purpose is to then explore that biblical story to better understand the mission to which God might be calling the congregation. “‘Story Matters’ put a process in place that our congregation put our own stamp on. It has helped us focus on how we teach Scripture, how we help people understand the biblical narrative and find a biblical story that tells our story. People are starting to put the pieces together,” said Peter Reuss, pastor at Peace Lutheran Church, Eyota, Minn., and now director for evangelical mission, ELCA Southeastern Minnesota Synod. “Living Our Baptismal Covenant” and “Story Matters” are both available as free downloadable files. Fifty years ago, only parents and sponsors made vows when a person was baptized. Now all of us make those vows in the Affirmation of Baptism liturgy. The words of the baptismal promise contained in that liturgy name the practices that should guide all of us as we daily remember our promise to live out our faith, emerging from our Baptism into Christ. Congregations are encouraged to use these resources to strengthen the foundation for their mission.